Swiss outdoor goods maker Katadyn has created an easy-eating solution — the cheeseburger in a can. 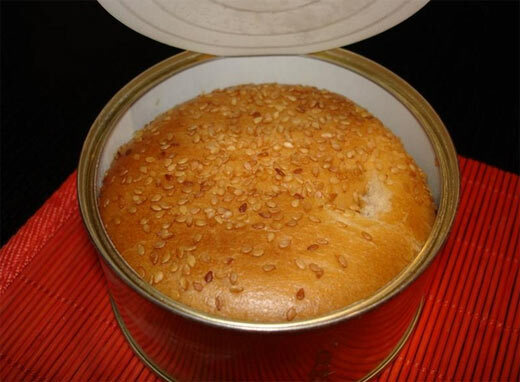 The canned meal contains an all-beef patty, lettuce, tomato and a cheese on a sesame seed bread. There sells for approximately $6 and can remain fresh during up to one year. It takes about 10 minutes to cook (boiled), or it can be cooked out of the can or eaten cold. The bottom line: The reviewer would eat “this thing again if it weren’t so expensive.” And he didn’t die or even get sick—which is always a plus. He also felt that the overall quality was similar to a McDonalds cheeseburger, which is really saying something. That having been said, it would probably be like fine caviar if you are out in the wild with little to eat.